We Do Wood, Denmark 2012. Materials: Oak frame, painted seat and back. Colours: Black or blue painted seat and back. Size: H.76 x W.49 x D.45 cm. 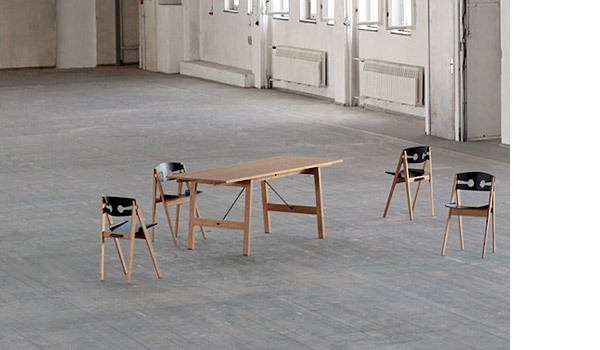 We Do Wood: ”Made from FSC certified oak, the chair is a simple but elegant composition of several fitted pieces. The seat is rimmed with an abrupt incline inspired by old-fashioned metal dustpans, whose form represents both strength and practical use. 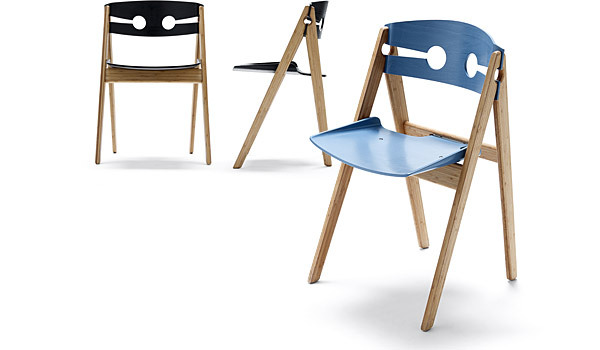 A rounded back with two symmetric keyhole shapes carved into the frame enhance the three dimensional experience of the chair, and add lightness and air to its feel." We have the chair, both in our store and in our showroom by appointment, for you to see at your convenience.